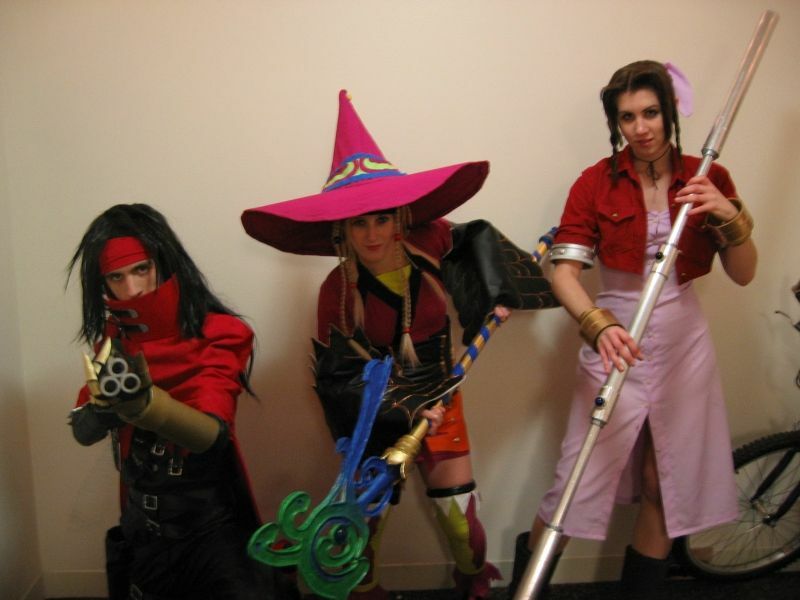 Cosplay is dressing up as one's favorite cartoon, movie, or video game character. Cos- from "costume," and -play as in having fun. People who engage in cosplay often flaunt their outfits at conventions, usually of the game, movie, anime, or comic book nature. These conventions are also an opportunity for like-minded individuals to network and admire eachother's cosplay skills.